What good is comfort and control if you can’t have fun too? 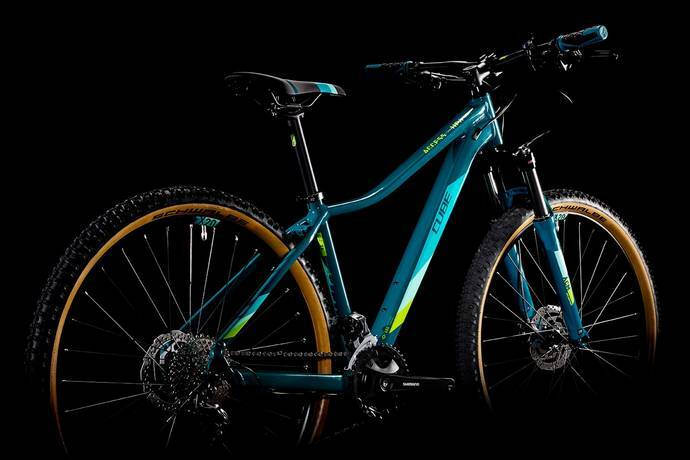 That’s why our engineers designed the Access Pro’s frame around our Compact Agile Ride Geometry – to give it the best blend of poise, comfort and agility backed with our comprehensive in-house testing for complete peace of mind. Featuring a redesigned top and down tube for 2019, we’ve maximised standover clearance for the ultimate in on-trail confidence and ensured safe, accurate steering and efficient pedalling. It’s all down to complex, mechanically formed 6061 aluminium tubes… and a lot of design expertise. 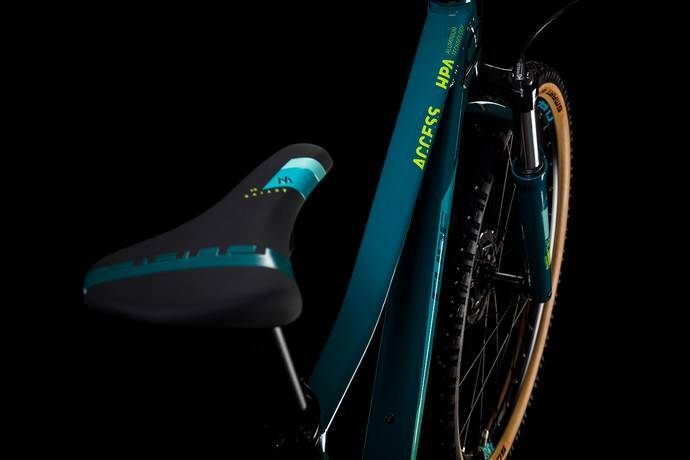 Revised rack and mudguard mounting points match the frame’s sleek looks and make adding these functional accessories a cinch, while internal cable routing keeps gear shifting clean and accurate without the need for regular maintenance. There’s only one thing that’s missing from this versatile, do-anything bike: you. 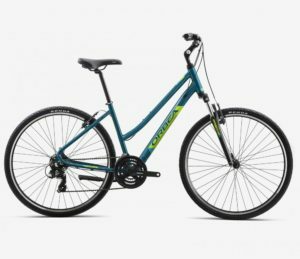 When the urge to explore further afield becomes too much to resist, you’ll need a partner in crime – or, at the very least, a bike that’ll be with you for every turn of the pedals. Have you met the Access Pro? It’s built for the job. Light, comfortable and well-equipped, it’s a bike that as good to ride as it is to look at. 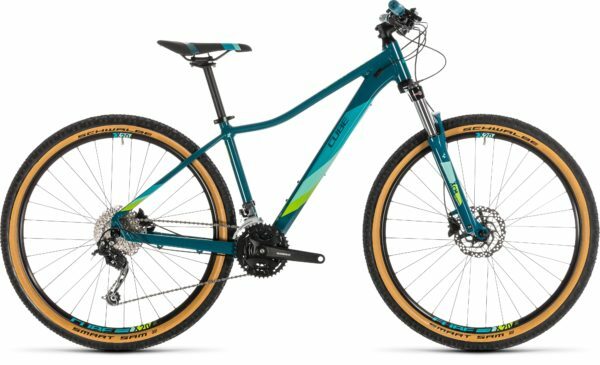 We’ve built the frame around two different wheel sizes so that every rider can find her perfect fit, from the 13.5 inch frame with 27.5 inch wheels to the 19 inch 29er. 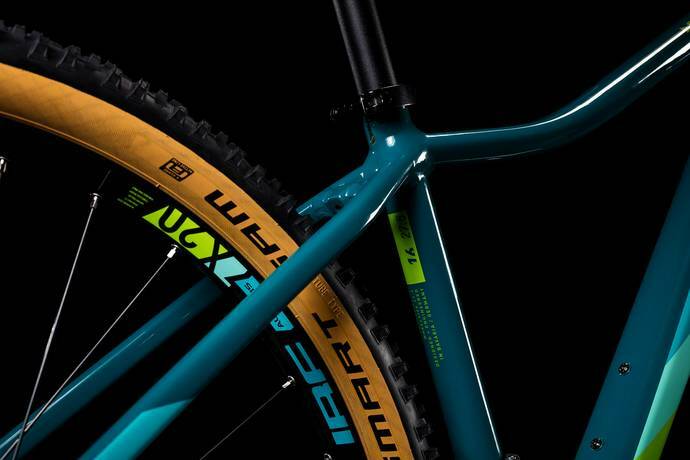 Whichever one you choose, the light and grippy Schwalbe Smart Sam 2.25 in tyres, combined with the remote lockout-equipped Suntour fork and powerful Shimano hydraulic disc brakes, give you all the comfort and control you’ll need to tackle any trail with confidence. 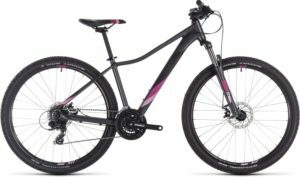 Smooth-shifting and wide-ranging Shimano gears will help you tackle even the steepest of climbs, and we selected the rider contact points – like grips, handlebar and saddle – specifically to fit the female form. Get inspired, and get riding… on the Access Pro. Aluminium Lite, AMF, Internal Cable Routing, Easy Mount Kickstand Ready. Shimano FD-MT200, Down Swing, 31.8mm. Cube Performance Stem Pro, 31.8mm. 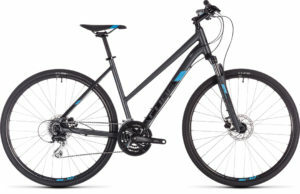 Cube Rise Trail Bar, 680mm. 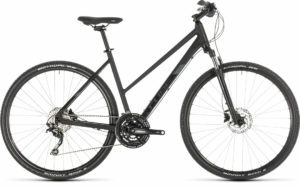 A crispy, delicious mountain bike for the adventurous type. Ride hard, now! Pedal fast, now! Ride rough, now! No Brainer!